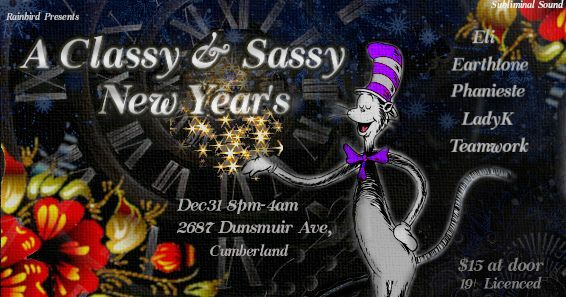 New Year’s Eve was a blast in Cumberland. Rainbird Productions made the night classy, sassy and memorable with an outstanding vibe, and so many couches! An intimate crowd gathered and danced hard until the early morning and TeamWork (Agent Hooper + EM.ASH) played right after LadyK, from 1:30 am onward. Check out the live recording from that night on Agent Hooper’s Soundcloud profile.